Eruption in Egypt. What is the impact of the country’s unrest on U.S. security? 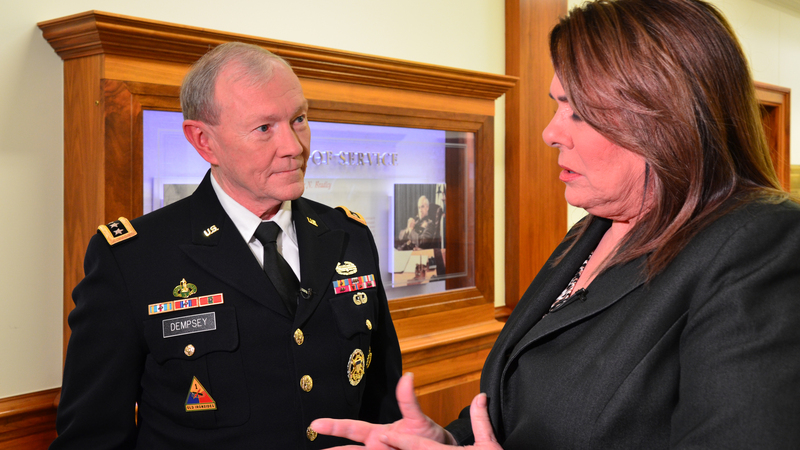 Joint Chiefs Chairman Gen. Martin Dempsey joins us in an exclusive, wide-ranging interview on world hot spots and the U.S. military. A look at who’s really in charge in Egypt and the fate of NSA leaker Edward Snowden with the chairman of the House Select Committee on Intelligence, Rep. Mike Rogers (R-MI). And the very latest from on the ground in Egypt and insight into what may be next for the country from CNN’s Christiane Amanpour, Fareed Zakaria. Plus in the 12pm ET hour, former U.S. Ambassador to Egypt Ned Walker, former National Intelligence Director John Negroponte and Middle East analyst Shibley Telhami join us to discuss the ongoing situation in Egypt. Sunday at 9a & 12p Eastern. Watch a sneak peek of what he said about the situation in Egypt and watch the full interview Sunday at 9am and 12pm ET.